Below, please find a list of educational institutions and compost related organizations who offer organics training courses and workshops. Events are held throughout the United States. The USCC is a nonprofit professional association committed to the advancement of the composting industry. They offer courses and workshops, downloadable educational materials, and publications through their website. Their Compost Operations Training course is a 40 hour, week long course focusing on the knowledge and skills required to run a successful composting facility. The course is held at various educational institutions throughout the year. Please visit the USCC website for additional Information. 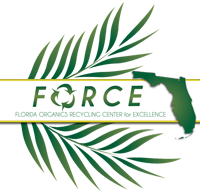 The FORCE Project Team has designed a Florida‐specific training program for compost and yard waste facility operators (e.g., public, private, farmers) or those who plan to compost under the new DEP registration program. The free course has been developed in partnership with SWANA International, while focusing on Florida’s unique climate and organic wastes. Florida specific issues addressed include the physical characteristics of yard trash, vegetative food waste, and the impact of tropical climate on composting operations. PDF versions of the FORCE training module presentations are available below for download. 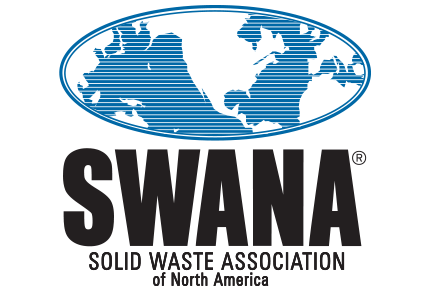 SWANA has worked in partnership with the USCC to develop a certification program for Compost Program Managers. Educational opportunities include a Compost Program Manager Preparation course. This three day course teaches how to effectively plan, design, and operate a composting facility.